because of the simple legal process. Hour Weddings have arranged registry weddings in just days, thanks to the swift legal procedure in Gibraltar. However, there is more than this reason to consider Gibraltar as your wedding destination. 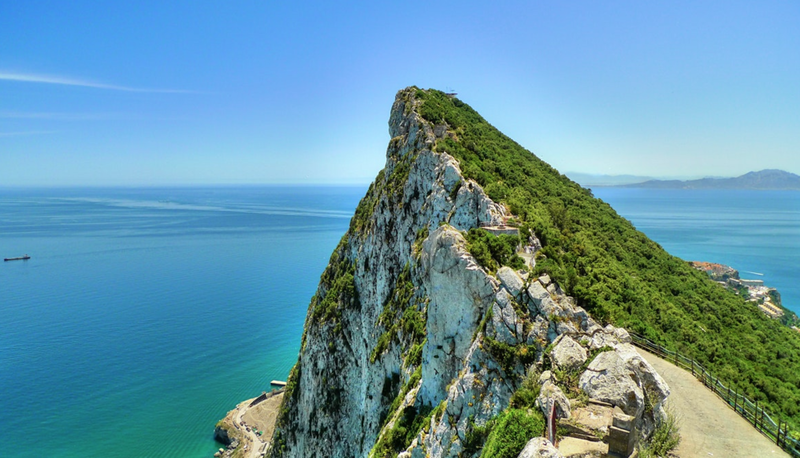 We are going share with you a couple of other reasons why you should get married in Gibraltar. also a short boat ride away from Africa. So everyone speaks English, uses the British pound andddd you could visit Spain and Morocco at the same time! What more could you want!? Weddings organise marriages all over Gibraltar. This varies from a simple registry wedding, to the Botanic Gardens or Top of the Rock , or even on a beach across the border in Spain?! There is something for every budget. Excursions are always fun on holiday, especially when you are getting married. Gibraltar is warm most of the time, so perfect weather for a Dolphin Safari! There are two dolphin safaris in Marina Bay (we offer discounts so hit us up if you’d like this) If you are a bit more adventurous, the Mediterranean Steps are incredible. the southern part of the rock, followed by a steep hike up to the top of the rock. The Med Steps have fantastic views of Spain, Morocco and the Mediterranean Sea. We only recommend this trail when the weather is good and is not recommended for young children or elderly, the path is very unsteady. Europa point and the lighthouse are a must see in Gibraltar. This is found in theSouthern tip of Gibraltar. Top tip- get the bus there! The bus only costs one pound per person in Gibraltar and will definitely save you £. We have glorious beaches. As you touch down in Gibraltar you may notice that we been blessed with some beaut tanning locations. The three top beaches are Eastern beach, Sandy Bay and Catalan Bay. They can all be located by bus. very proud of the little town we live in!